Mercedes AMG Petronas’ Lewis Hamilton has won the Japanese Grand Prix, tightening his hold over the championship title as he looks to take his third. 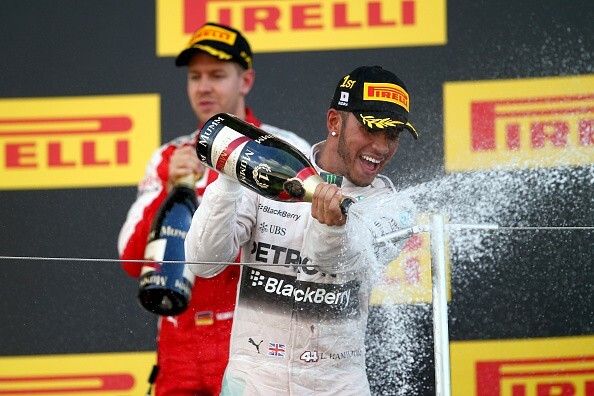 Today’s victory takes the Briton to 277 points, ahead of teammate Nico Rosberg who was in P2. Rosberg began the race in pole, but lost his lead as soon as the race began – a lead Hamilton grabbed and held on to. Rosberg’s second place finish takes the German to 229, and broadens his teammate’s lead from 41 points to 48. Hamilton ended the race with an extremely significant lead – 18 seconds – over second-placed Rosberg. Ferrari’s Sebastian Vettel finished the race in P3. He came back from a 4th place qualifying finish to complete the podium at the Japanese Grand Prix. An early-race skirmish, also during the opening laps, saw Williams’ Felipe Massa and Red Bull Racing driver Daniel Ricciardo bump each other – each of the drivers suffered a puncture as a result, and dropped to the back of the grid early on. Apart from the punctures, which saw both drivers pit, and a move into the astroturf by Lotus’ Romain Grosjean, there was only one retirement in the race – 51 laps in, Sauber’s Felipe Nasr walked off the track with engine issues. There were no “official retirements”, however, with all drivers completing enough of the race to be classified. Both McLaren drivers – Fernando Alonso and Jenson Button – completed the race, although 2-time World Champion Alonso was visibly agitated as he was overtaken by Toro Rosso’s Carlos Sainz, shouting that he had a “GP2 engine, GP2!” The Spaniard is widely expected to stay with McLaren next year, but he has made his displeasure with the Honda power units felt all season. Most drivers preferred to be on the hard compounds this race, and although Rosberg was on mediums for a while, the driver quickly switched back to the hard compound. Today’s win is Lewis Hamilton’s 41st Grand Prix victory – which means he has now equalled Ayrton Senna for the total number of victories in Grands Prix.